Masatsugu Okutani, 41 and Kazufumi, 71 are the 24th and 25th generational SHINTO priests in the family line dating back to the 12th century AD. SHINTO represents for Japanese society a place and a time to purify and reconnect with life's vital forces aided by nature's energy and its representations. 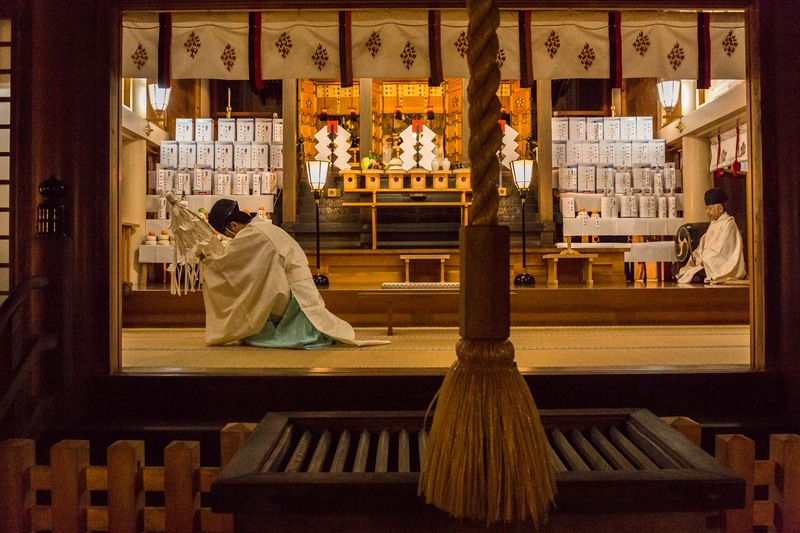 Seen here conducting the Grand Winter Purification ceremony, Kiso Mura village, Japan.